Wedding Photography brings with it a lot of responsibility and challenges — the photographer has to cover groups (posing family & friends), candid shots (couple’s merriment), portraiture (posing the couple), wide-angle shots (to capture the flowers and decorations), capturing small details (rings and other accessories), event coverage (couple exchanging vows during the ceremony) and more. And all this has to be done with perfection with no margin for error. Marriages are made in heaven; arranged on earth and mesmerized by family, friends and the couple itself throughout their lifetime. 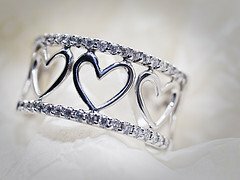 Wedding is the grand event of the couple’s life. It is an occasion where everything is special. It is thus, the photographer’s responsibility to ensure that these moments make fond memories when revisited in the future. 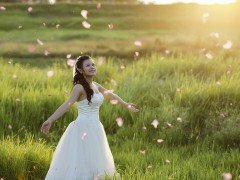 Here are some basic tips, techniques and suggestions which will enable you to beautifully capture the grand occasion. Just equip yourself with this guide and get ready for a hands-on professional experience. When starting out for your first wedding shoot, don’t do it all alone. Instead try to study how other professionals do it. Volunteer to assist a wedding photographer. Work with them and gain some basic experience before you go solo. The blame of ruining wedding photographs can be the most aggravating. 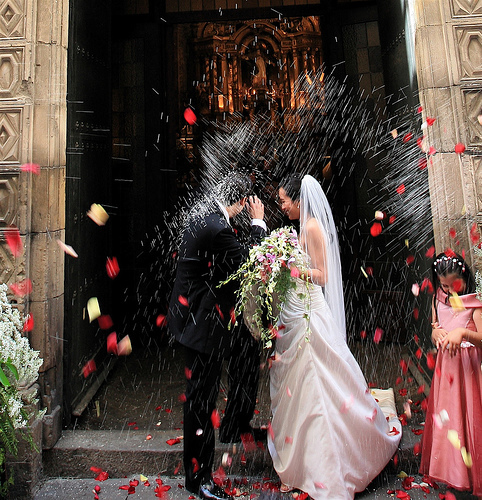 The wedding photographs weave a visual story for the grand event. The photographer is thus responsible for capturing each and every minute detail and thereafter presenting them as charismatic moments. For making the most out of the photo shoot, one need to plan the shoot well before hand. Take a tour around the location, talk to the family and friends. Find out some of the favorite locations of the couple. Cover The Event In Entirety: Capture the happenings preceding the ceremony, be a little extra careful for the ceremony, cover the reception well, click the close-ups of the couple (direct them for a pose or let them freely enjoy their once-in-lifetime occasion), properly handle the candid shots and direct the poses for group photographs. Familiarize yourself with the venue: Try to reach early and familiarize yourself with the venue — its surroundings, ambiance, etc. Capture the fine-details of beautifully decorated house and the elegance of the ceremony venue; spelling the magical beauty. Initiative: Take initiative and mingle with the family members to cover the event well. Look up to them to move around the home (to capture the decorations and happenings), freely. Consider talking to the couple; welcome their suggestions or guide them for a successful photo-shoot. Create a checklist of all that you’ll need. Carry a spare camera as a backup and have multiple lenses handy. Have an external flash unit handy to fill up some of the darker scenes. The light from a flash unit is barely flattering but have it handy as a last resort. Always carry multiple batteries and memory cards for photo-storage. Shoot in Raw for better post-processing control. Shoot in color. (Save Black and White conversion for later which is best covered during the post-processing). Consider continuous mode for quickly capturing the sequence of activities and happenings at the event. Carry multiple portrait lenses preferably with a wide-shutter. These fast lenses can shoot in low-light conditions at amazingly fast shutter-speeds without a trace of blur. A prime-lens is specialized for it’s use and is a high-end performer. A zoom on the other hand gives you flexibility. A wide-angle lens comes in handy when shooting in confined spaces. A fast lens will let you shoot beautiful bokeh which is just what makes a scene dreamy. Tripod: You practice a variety of photography techniques while shooting for a wedding. Sometimes you need to take group photographs, at other times your concern is to capture minute details (rings, shoes, jewelery) and yet other times you have to blur the cluttered background. It is therefore wise to carry a tripod; especially for avoiding the blurry effects caused due to hand-shakes (when shooting at low lights with boosted ISO or wide aperture). Lenses: Use portrait lenses for close-ups, wide-angle lenses for interiors & group photographs and telephoto lenses for candid shots and portraits. Moderately Powerful Flash: While photographing at such occasions you have to maintain the distance from the subject; thus a powerful flash is required to illuminate the subject well when shooting in low ambient light. Flowers, fancy lights, home-decors, church interiors, decorations — all reflect the magical effects and stand there prepared for the snapshots. Take your pick and compose your frames judiciously around them. Indulge in familiarizing yourself to the venue and induce the colorful shots. Capture the charming story of the couple by taking them out for the shoot and making them feel comfortable. Compose the beautiful frames and include flowers, colors, rings, accessories, event details. Here’s a tip: The camera sees in 2-dimensions unlike our eyes which see in 3-dimensions. To simulate this close one eye to visualize how it would appear to the camera. Pay attention to details and ensure there are no unwanted objects in the frame which can ruin a beautiful composition. Try to have a family-friend accompany and guide you around the location — that way you will have easy time accessing areas where strangers may not be the norm. Take full-length shots and highlight the bride’s dress — it’s one of the important features of the event. If the couple agrees, try to take them to some open solitary location where they can be with themselves — that way you can take some candid shots with great expressions and capture some memorable moments. You did a good job covering the event to its finest details and now its time to sort the photographs to take them to the digital labs. Its time to process your captures — polish them to eliminate any artifacts, tweak the colors a bit and enliven the photographs with essential adjustments. Play around with color saturation, contrasts and sharpening to get perfectly finished images. You can use Adobe Photoshop, Adobe Lightroom, GIMP or any other image editor of your choice. Remember not to exaggerate the adjustments — keep them subtle to retain the originality. For portraits focus on the eyes of the subject; a little sharpening goes a long way adding life to the expression of the eyes. Always ensure that you have some of the shots converted to black and white classics. They hold the viewers interest and are sure to impress. Finally, its time to give shape to all your your hard-work. Compile the photographs onto a wedding album or a video or present it as a slide-show. You can also consider enlarging and framing the selected pictures to make way to the newly wedded couple’s living room. Be ready with multiple backups (extra camera, lenses & filters of your choice, spare memory cards and extra batteries). Check out for flash synchronization (to work well with high shutter-speeds). Position yourself appropriately; where you can view and capture the event and the ceremony with minimal distraction and interference. Avoid using flash during ceremony (not permitted in churches & may cause distractions). Don’t forget to shoot small details (capture rings, flowers, table-settings, menus, etc). Capture unusual and impromptu shots. Feel free to talk to the couple and understand their expectations; direct the groups and the couple for the required poses. Turn-off the sound of your camera (to avoid distraction during the ceremony when everything is silent). Use beautiful backgrounds effectively and consider blurring the background — not only does it eliminate the background clutter, it brings the focus to the subject with beautiful backdrop of bokeh. An 85mm prime or a 24-105mm zoom for versatility.